Now we really have bragging rights! The Augusta Literary Festival named author Faye Gibbons winner of the 2016 Frank Yerby Award for her first young adult novel, Halley. The award recognizes Georgia authors whose work is distinguished by its literary excellence. In the photo below she receives congratulations from another NewSouth Books author, Ted Dunagan, who received the Yerby Award in 2013 for the third in his popular Ted and Poudlum series, Trouble on the Tombigbee. The Augusta Literary Festival honors the legacy of Frank Yerby, an African American writer born in Augusta, Georgia, who wrote many bestselling novels in the 1950s, including The Foxes of Harrow. We celebrate his life too. Halley and Trouble on the Tombigbee are available from NewSouth Books or your favorite book retailer. 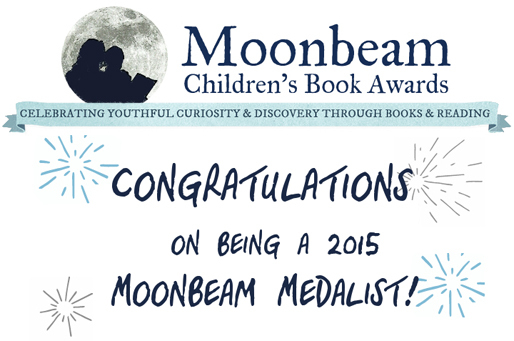 NewSouth Books is delighted to announce that Halley by Faye Gibbons has won the Silver Medal for Young Adult Fiction in the ninth Moonbeam Children’s Book Awards. The awards are presented by Independent Publisher and the Jenkins Group. They feature gold, silver, and bronze award levels in 42 subject categories. The awards were created to celebrate children’s books and lifelong learning. Winners have included books from large publishers, university presses, and independents such as NewSouth Books. Judges for the award favor books of social relevance with strong content and original writing. Earlier this year, Halley was also named a Jefferson Cup Honor Book by the Virginia Library Association. Congratulations, Faye! Halley is available from NewSouth Books or your favorite bookstore. Ted Dunagan’s books Secret of the Satilfa and Trouble on the Tombigbee have both been chosen as Accelerated Reader books for students, selected by Renaissance Learning. These are Ted’s second and third novels for middle-school readers, following A Yellow Watermelon, which was selected as an Accelerated Reading title in 2009. Dunagan is a three-time Georgia Author of the Year Award winner for his first three books, and his newest in the series, The Salvation of Miss Lucretia, has also been nominated for the Georgia Author of the Year Award. 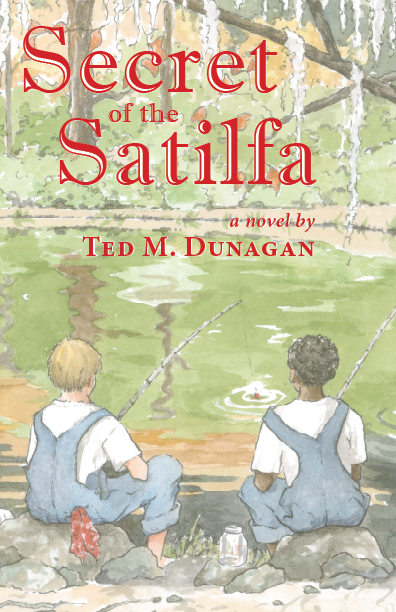 Dunagan’s books follow young Ted and Poudlum, two boys in 1948 Alabama who bond despite their different races. Over the course of the series, the boys solve mysteries and have many adventures, often reminding themselves and their town that the similarities between them are far greater than their differences. A stage play based on A Yellow Watermelon premiered in March 2014 in Coffeeville, Alabama, with the Grove Hill Arts Council, and will be produced again this year. Students at Wilson Hall Middle School in Grove Hill, Alabama, big fans of Ted’s books, have been involved with the Accelerated Reading Program since kindergarten. Students select books that match their reading levels, read them at their own pace, and then take a quiz developed by Accelerated Reader. The quizzes monitor and provide for teachers and students immediate feedback regarding reading performance and vocabulary growth, and prizes help incentivize the students to keep reading. Find Ted Dunagan’s books on the Accelerated Reader site by searching for “ted dunagan.” Ted Dunagan wrote a column about the Accelerated Reader designation for The Monticello News. A Yellow Watermelon, Secret of the Satilfa, Trouble on the Tombigbee, and The Salvation of Miss Lucretia are all available in print and ebook from NewSouth Books or your favorite bookstore. Young adult author Ted Dunagan, winner of the Georgia Author of the Year for his first three novels, starting with A Yellow Watermelon, was interviewed recently by ArtsATL. The amiable author chatted with Sarah Sacha Dollacker about his childhood desire to become a writer and the inspiration for his books. The semi-autobiographical stories focus on the friendship between two boys, one white and one black, who work together to rid their rural community of criminals in exciting adventures reminiscent of the adventures of Tom Sawyer and Huck Finn. The characters Ted and Poudlum are based on and have the actual names of the author and his boyhood best friend. In the interview, Dunagan recalled, “I’ve wanted to be a writer my entire life, but I didn’t have the opportunity to start until about 10 years ago. I didn’t start out writing about my childhood. When I first started writing seriously, I had an editor working with me. I kept showing her what I was working on, and she kept telling me that it was terrible. 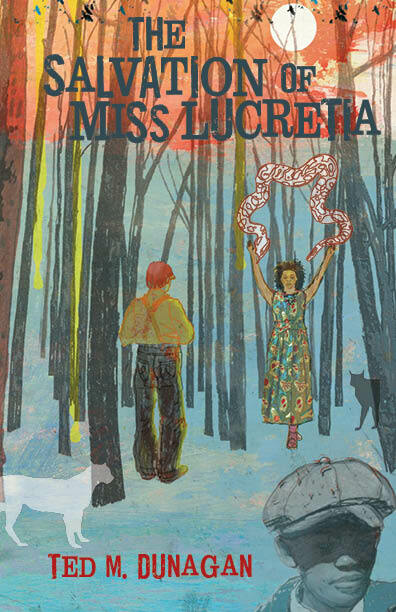 Dunagan has been nominated for the 2015 Georgia Author of the Year Award for his latest novel, The Salvation of Miss Lucretia. He is working on the fifth book in the series as his young fans eagerly anticipate reading the further exploits of Ted and Poudlum. 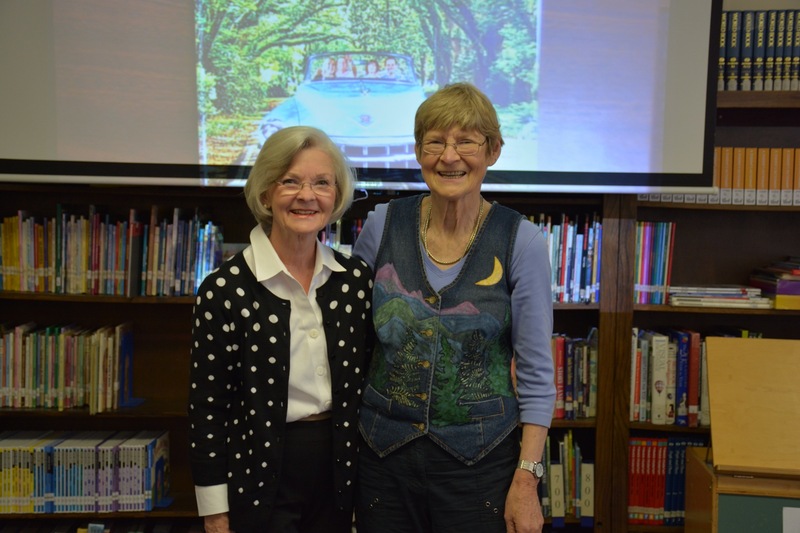 As a part of the #FirstLady500 Scholastic book giveaway, Dianne Bentley, Alabama’s First Lady, presented 100 Scholastic books to Holtville Elementary School on May 15, 2014. Mrs. Bentley chose to read one of her favorite children’s books, Night in the Barn, written by her favorite Alabama children’s author Faye Gibbons, to the students assembled. In attendance at the event was Gibbons herself, making the First Lady’s visit to the school “particularly special,” according to Bentley’s blog. 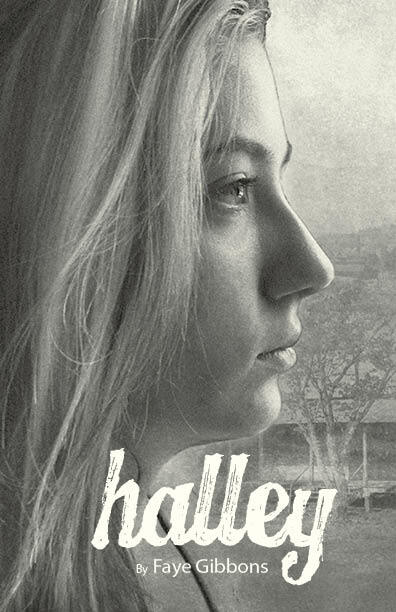 Gibbons, author of several well acclaimed children’s and young adult books, has a new YA novel, Halley, due out in August from NewSouth Books. The eponymous heroine of the books is a gritty fourteen-year-old of Depression-era Georgia who must move in with her controlling, fire-and-brimstone fundamentalist grandfather after her father dies. Praised as “a real treasure of a book” by National Book Award winner Han Nolan, Gibbons’s Halley is sure to find a place on the bookshelves of schools and homes alike, including on the bookshelf of the First Lady of Alabama. Read WAKA Montgomery‘s coverage of the event. Halley is available for pre-order from NewSouth Books, Amazon, or your favorite bookstore. The town of Coffeeville, Alabama, and the Grove Hill Arts Council are joining forces on a project to restore the old Coffeeville School for community use. In so doing, they will recognize one of the school’s most famous students, Ted M. Dunagan. Ted Dunagan is the author of three award-winning young adult novels set in that area during the late 1940s, published by NewSouth Books. A stage play based on his first novel, A Yellow Watermelon, premieres Friday, March 7 at 11am and Saturday, March 8 at 7pm at the old Coffeeville high school auditorium. “A Yellow Watermelon: A Play in Two Acts” has been written by Cathi Gunter, a local playwright. The idea for the project was inspired by the play based on the Harper Lee classic, To Kill a Mockingbird, presented annually in the nearby town of Monroeville, Alabama. Sponsors of the project include Town of Coffeeville, Grove Hill Arts Council, Arts Council of Thomasville, and Lewis Pest Control. The first performance of “A Yellow Watermelon” will be attended by Clarke County middle schoolers, who will also compete in an essay contest about the novel on which the play is based. Author Ted Dunagan will participate in a Q&A session after the morning performance and present the writing awards. A second performance of the play will be staged for the general public on Saturday evening, March 8, at 7pm. All are welcome. Prior to the Saturday performance, at 5pm, the town of Coffeeville will host a reception honoring Mr. Dunagan. 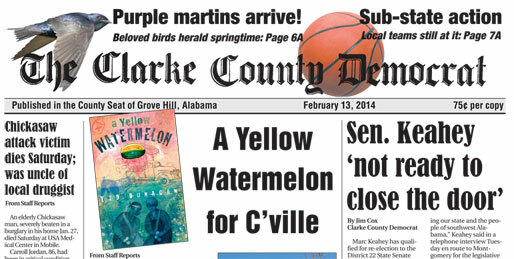 The Clarke County Democrat featured news of the play on its front page recently (click image for larger view). A Yellow Watermelon tells the story of two boys, one white and one black; Ted and Poudlum are autobiographical. Their friendship, the adventures they share, and the way in which they deal with racial issues in the rural South of the 1940s have resonated with people of all ages. The book won for the author the Georgia Author of the Year Award. It was also recognized on the inaugural 25 Books Young Georgians Should Read list. For tickets or information about the play, contact Cathi Gunter (cgunter1@bellsouth.net), Janee Parden (janeeparden@ymail.com), or the town of Coffeeville at 251-276-3266. Tickets are $15. A Yellow Watermelon and Ted Dunagan’s other novels are available from NewSouth Books, Amazon, or your favorite bookstore. You are currently browsing the archives for the YAbooks category.